Want to watch The Masters online? We've got you covered! Learn how to access Masters live stream in our detailed guide - no cable required! Hulu with Live TV covers all of your channels to watch the Masters, and it includes tons of on-demand content as well. YouTube TV might be the best streaming service around, and it hooks you up with everything you need to watch the Masters. PlayStation Vue isn’t the cheapest option to watch the Masters, but it’s one of the best services in terms of streaming quality. Did anybody else see Tiger Woods’s second-place finish at the Valspar Championship? Well, we did, and it felt like an amazing precursor for the Masters tournament. Who knows if Tiger can keep it rolling, but we’re excited to find out. No matter who you’re rooting for, you’re going to want to watch the 2018 Masters tournament. ESPN and CBS split coverage over the six-day tournament. ESPN will carry The Par 3 contest from 3:00–5:00 p.m. eastern on April 4 and live coverage of the tournament from 3:00–7:30 p.m. eastern on April 5–6. CBS will offer coverage of the tournament between 3:00–7:00 p.m. eastern on April 7 and from 2:00–7:00 p.m. eastern on April 8. Those are you choices—so now let’s zoom in on your different options for streaming the Masters and weigh out the pros and cons of each. Hulu has been in the streaming game for a couple of years, but recently it branched out to offering live TV—and it’s a pretty great service. You can watch the Masters for free if you time it right with Hulu Live’s 7-day free trial. Hulu with Live TV has you covered with ESPN and CBS coverage. Especially on the CBS front—Hulu Live offers the most CBS affiliates, which means it’s your best bet for watching the Masters on CBS in your area. Along with everything you need to stream the Masters online, Hulu Live hooks you up with over 50 other channels. That way, you can always flip around your channels when some of the golfers you don’t care about are up. Now, here’s one thing we didn’t like so much. Hulu’s interface is built around knowing what you want to watch before you do. Some people like the suggestion-based interface, but fans new to cutting the cord might have a hard time adjusting and finding the channels they want to watch. What sets Hulu with Live TV apart? Here’s the thing about signing up for Hulu with Live TV—you get access to the entirety of Hulu’s streaming library. In other words, you can watch the Masters live, and then catch a few episodes of Seinfeld, The Simpsons, or Brooklyn Nine-Nine just for fun. Considering Hulu on-demand access is a $6.99 value that you’re getting for free, the whole service is a good deal overall. Hulu also offers a 50-hour cloud DVR, which gives you plenty of storage to record the Masters tournament. If that doesn’t sound like enough, you can upgrade to 200 hours of cloud DVR storage for an additional $14.99 a month. You can stream the Masters using most of the streaming devices out there. No doubt you’ve heard of YouTube—you might even be using it to watch Tiger Woods highlights as we speak. Well, YouTube recently launched a live TV service, and it’s a excellent way to watch the Masters online. You can try it out with a 7-day trial. This is another one of those streaming packages where you have only one package to choose from (which is kind of a relief, right?). Of course you’re getting CBS and ESPN with YouTube TV, but you’re also getting over 55 other channels worth checking out. The whole package costs $40 a month (recently bumped up from $35 a month). If it weren’t for the price increase and the lack of Roku compatibility, we’d easily make YouTube TV our best recommendation for watching the Masters. However, if you don’t mind the drawbacks, you’ll really enjoy YouTube TV. YouTube TV is kind of like the Justin Thomas of streaming services. It’s fairly new to the scene, but it’s easily one of the best streaming service around right now. Our experience with YouTube TV left us very impressed—the streaming quality was smooth, and the interface was easy to navigate, but with the recent price bump to $40 a month, it’s not quite as good a deal as we would like. You should also know that YouTube TV offers unlimited cloud DVR. It’s hard for all of us to grasp the concept of anything being unlimited, but YouTube TV’s cloud DVR is helping us wrap our minds around it. With its DVR, you can record the Masters tournament and literally every other golfing tournament that ever happens ever. Hopefully you have Apple TV, Chromecast or Roku. Otherwise, you’ll have a hard time watching the Masters with this service on your TV. Before you ask, no, you don’t need a PlayStation console to stream PlayStation Vue (thank goodness).  In fact, PlayStation Vue is available on most of the streaming devices out there. You can watch the Masters for free using PlayStation Vue’s 5-day trial. PlayStation Vue has a couple of different channel packages to choose from, but we’re here to make sure you find the cheapest way to watch the Masters. Why pay extra when you don’t need to—isn’t that why you cut the cord in the first place? To get ESPN and CBS, we recommend going with the Core package for $44.99 a month, which nets you over 50 other channels as well. If PlayStation Vue were just $5 a month cheaper, we would probably put PlayStation Vue as the top of the list. If you don’t mind paying a few extra bucks a month, it’s one of the best streaming services out there. You can upgrade your package and get even more channels if you want to, but that won’t be necessary to watch the Masters. We’ve probably already mentioned this, but we make a point to test every major streaming service out there, and we can confidently say that PlayStation Vue offers up the best streaming quality (with YouTube TV coming in at second place). If you’ve got a nice TV and you’ve been wanting to show it off, PlayStation Vue will make the most of your internet speed and deliver a silky smooth stream. Keep in mind PlayStation Vue doesn’t have the magic to spit out a smooth stream with a poor internet connection, so make sure you have an internet speed of at least 15 Mbps. Your PlayStation Vue subscription also comes with unlimited cloud DVR, so you can just keep on recording things without every worrying about storage space. There is a catch, though—your content deletes 28 days after it was recorded. Think of it as a way to prevent you from hoarding too much stuff to watch (something we’re all guilty of). You can stream the Masters on PlayStation Vue with pretty much any streaming device. All the channels you need to watch the Masters are available on DIRECTV NOW, but the package is a bit pricier than the other options. But you’re also getting over 100 channels. You can try out DIRECTV NOW and watch the Masters for free with a 7-day trial. Is it worth paying a little extra to watch the Masters on DIRECTV NOW? Most people cut the cord because they want to pay for fewer channels, but once the cord is cut, sometimes fans can miss the bigger assortment. For the cord-cutters who still want some variety, DIRECTV NOW is a great fit for watching the Masters tournament, and other stuff too. To watch the Masters with DIRECTV NOW, you’ll need to get the Go Big package, which includes CBS, ESPN, and about 100+ channels total. Check out those extra hundred, and if you like the look of them, go for it. If you’re seeing several channels you couldn’t care less about or you really are just in it for the Masters tournament, we recommend going with a cheaper service option. What’s it like watching the Masters on DIRECTV NOW? For golf fans who are new to cutting the cord, you’ll feel right at home with DIRECTV NOW. Instead of going for the more modern, Netflix-style interface, DIRECTV NOW’s interface feels just like a cable service’s. It gives you a channel guide that shows you what’s playing now, what’s coming up, and so on. Sadly, DIRECTV NOW doesn’t currently have any cloud DVR storage. If you plan on watching the Masters live, this won’t be a big deal, but if you like recording sports and watching them later, it could be a deal breaker. DIRECTV NOW makes watching the Masters pretty easy since the service is available on most popular streaming devices. If you’re having a hard time streaming CBS in your area, there’s an app for that. The CBS All Access app costs $4.99 a month, has tons of coverage throughout the country, and hooks you up with CBS live and on demand. The bulk of the Masters will be airing on CBS, so you’ll want to make sure you’ve got access. Check out our full review for more information on CBS All Access. You can also try out the CBS All Access 7-day free trial and, if you time it right, watch the Masters for free while you’re at it. The tricky thing about streaming services is that there’s no guarantee you’ll get your local channels. As it stands right now, DIRECTV NOW and Hulu with Live TV have the most CBS coverage, but you have to live in a supported area to stream the Masters on CBS. If you happen to live in one of the markets where streaming services don’t offer CBS coverage, you can pick up an antenna and get all your local channels. We strongly recommend the Mohu Releaf because it works really well and it’s made of recycled products. If you want to do some more research on antennas, we’ve got antenna recommendations for rural living, urban living, and everything in between. Make sure you don’t miss any of the Masters action on CBS with an antenna. There are lots of great golfing tournaments all year long, but the Masters is definitely our favorite. Especially when you factor in all the interesting storylines surrounding this year’s competition (*cough* Tiger Woods *cough*). It’s going to be a lot of fun to watch the Masters this year—that’s for sure. Now we’ve got some quick questions for you. What streaming service did you pick to watch the Masters online? What was your experience like? Do you have any more questions about streaming the Masters? Let us know in the comments below!